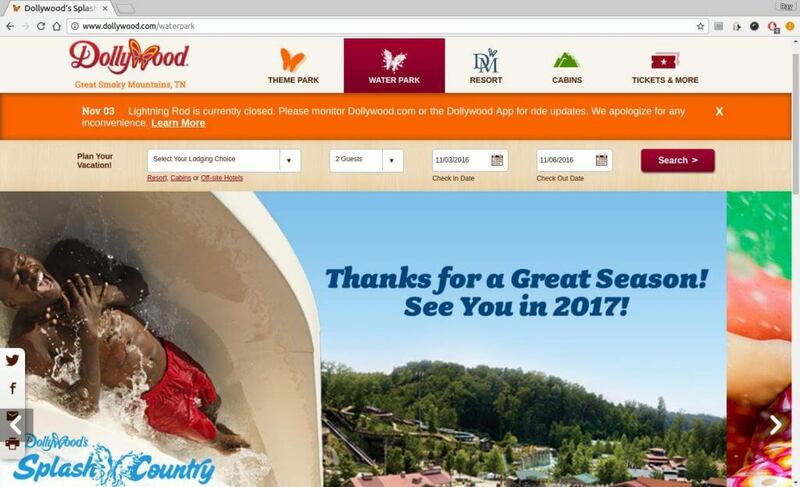 Pigeon Forge Attractions: Dollywood Splash Country - Bear Camp Cabin Rentals. For a unique summer vacation destination that’s fun for the whole family, pack your bathing suit and take the plunge to Dollywood’s Splash Country. This water adventure theme park combines the beauty of the Smoky Mountains with the excitement of water park rides, slides and attractions guaranteed to cool you off on a hot summer day! Located in Pigeon Forge, Tennessee, and adjacent to Dollywood theme park, Dollywood’s Splash Country offers summer vacation activities ranging from a relaxing tube float on the Lazy River to the thrilling Big Bear Plunge white water rafting ride. Here’s a great family vacation idea: Whether you’re looking to soak up some sun or dive into a swimming pool of adventure, Dollywood’s Splash Country has fun summer activities for kids of all ages.